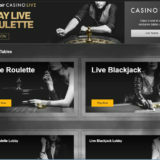 Playtech launch Live Dealer 3 Card Brag - A cracking live game. Playtech has finally launched the Live Dealer 3 Card Brag game we saw glimpses of at ICE 2017. If you’re gagging to get playing then you’ll find it at Betfair, Bet365, Paddy Power & Sky Casino. It’s been a while coming and I’m pleased we now have an alternative to Live 3 Card Poker from Evolution. Don’t get me wrong, it’s not because I don’t like 3 card poker. I actually love it. It’s because I believe there should always be choices. Playtech Live 3 Card Brag delivers that. Why 3 Card Brag and not 3 Card Poker? It’s simple really. Licensing. 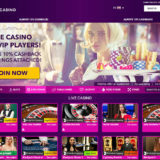 The rights of 3 card poker are owned by Scientific Games and Evolution Gaming has the exclusive rights to the live version of the game. 3 Card Brag is a game that dates back to the 16th Century so it has plenty of history. It’s known very well in the UK. I remember playing it when I was a child. 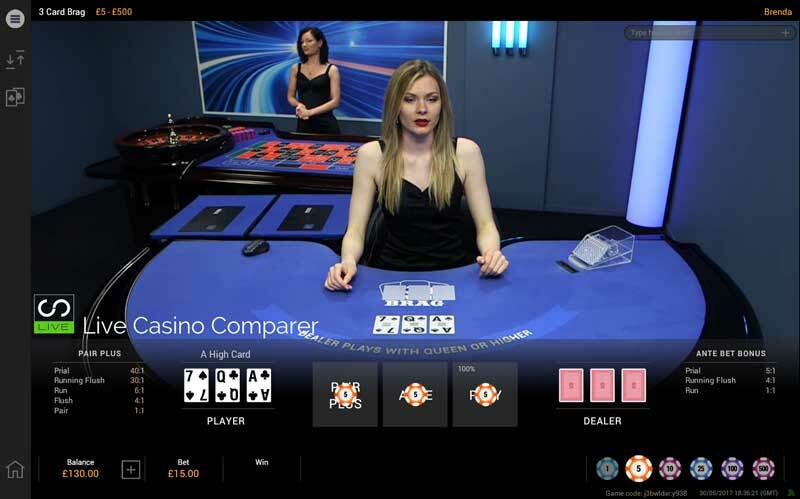 Live Dealer 3 Card Brag is played in a very similar way to Live 3 Card Poker. You have to get a better 3 card hand than the dealer. The only difference is the ranking of the hands. The highest hand possible in 3 card brag is a Prial (three of a kind). A Prial of 3’s is the best hand you can get, although there is no ranking of these hands in the Live version. How do you play Live Dealer 3 Card Brag? The game is presented in a one to many format and is played with one pack of 52 Playing Cards. There’s one player hand that an unlimited number of people can bet on. You’ll always be able to play, there are no seating issues like you get in Blackjack. Prior to any cards being dealt, you have to place at least an Ante Bet to play. 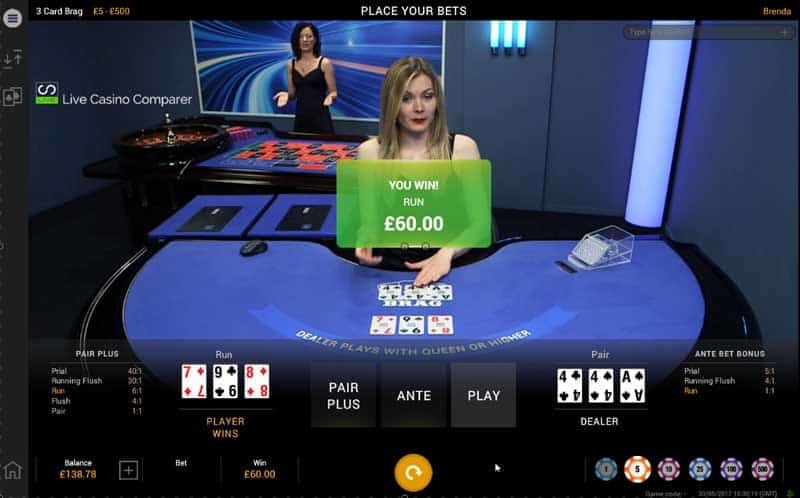 There is an optional side bet of Pair Plus, that pays out if your hand is a pair or better in value, regardless of what the dealer has. Three cards are then dealt to the Player position face up and 3 cards are dealt face down to the dealers’ position. You then decide if you want to play the hand. Standard strategy suggests you should play any hand that is greater in value than Queen, Six & Four. Anything less you should fold. If you play the hand you’ll need to place an additional bet equal to the amount you placed for the Ante. The dealer reveals his hand. The dealer qualifies to play if he has a Queen or higher in his hand. If he doesn’t then your Play Bet is returned to you as a Push and your Ante Bet is paid at 1:1. When the dealer plays i.e has a queen or more in his hand and you beat him, you get paid for your Play Bet at 1:1, Your Ante Bet is paid at 1:1 unless you have one of the hands listed in the Ante Paytable where you’ll get more. If the dealer beats you, all your bets are lost except you Pair Plus bet which will pay out if you have a pair or better in your a hand. As it’s new, places to play the new game are difficult to find. 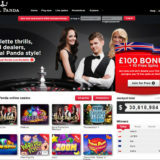 I’ve been playing at Paddy Power, but you’ll also find the game at Sky Casino and Betfair.